The polymer covers were filled with concrete. The polymer covers were used as permanent forms. 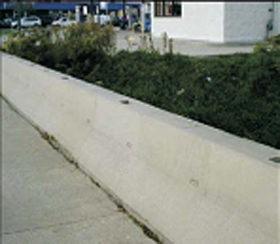 The covers protect the concrete from salts and freeze thaw problems.